City of Santa Barbara Zone 6 - Flowers & Associates, Inc. Surface Area: 2.3 Million S.F. 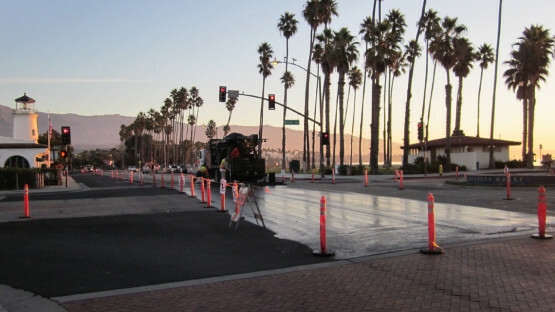 We provided design, construction, inspection and documentation services for this City of Santa Barbara Pavement Maintenance project. 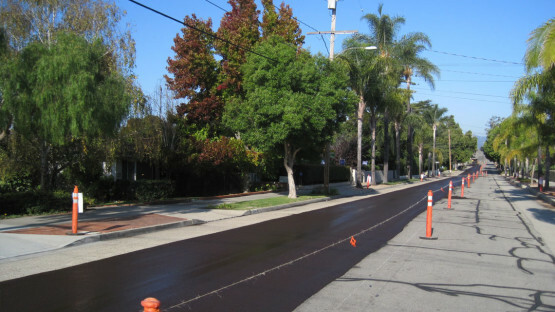 The Project primarily focused on Zone 6, the City’s primary arterial streets including Anacapa Street, Cabrillo Blvd, Carrillo Street, Chapala Street, Haley Street, Milpas Street and upper State Street. Cabrillo Boulevard from State Street to Castillo Street received an asphalt overlay as part of the pavement preparation. A number of City lots and facility lots from four different City Departments were included in the Zone 6 Project. 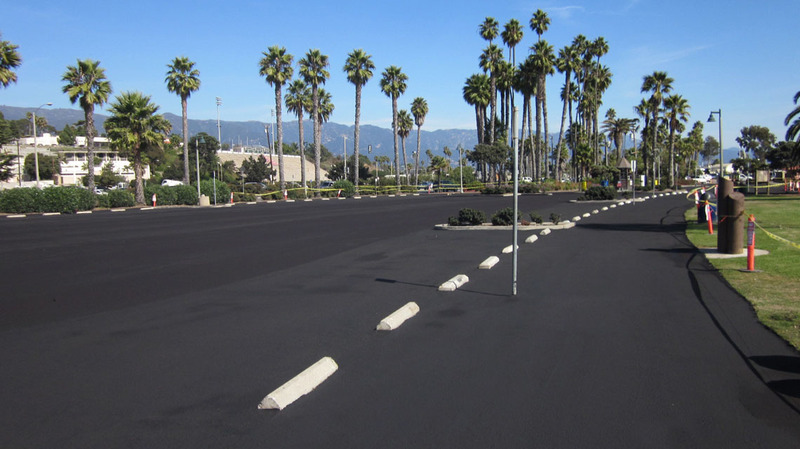 Those lots included the Waterfront Department: Leadbetter Parking Lot, Leadbetter Bike Path and Leadbetter Entrance Lot; Parking Department: including Lots 8, 12, Carrillo Commuter Lot and Cota Commuter Lot; Facilities Department: Fire Station No. 4 and Pershing Park Lot; and the Wastewater Department: El Estero Waste Water Treatment Plant. The project work consisted of Pavement Preparation (spot leveling, grind and replace) and Slurry Seal (with the application of two separate treatment methods, Crack Seal and Type 2 Slurry Seal). The Project also included adjustment to grades to a number of utilities at various locations throughout Zone 6.